Microsoft Office 365 is a web-based, full suite of enterprise-grade Microsoft Office applications. There is no infrastructure required. Office 365 is delivered to users through the cloud and includes Exchange Online for email, SharePoint Online for collaboration, and Lync videoconferencing from virtually anywhere on most devices. It also includes Web Apps of traditional Microsoft Office programs. By using familiar tools, Office 365 makes seamless collaboration a reality. 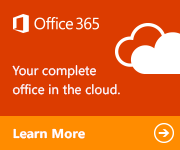 Weâ€™ll help you experience Office 365! Call us and and we will show you how much faster your business can get ahead when it all works together. – Kris Torkan, owner of a Miracle Mile shopping center. – Luz Cazeneuve with Dastech Enterprise.